Hope everybody is doing well at best of their spirit. As we fast approach summer, we have number of events lined up. We understand summer is busy since almost everybody will have travel plans. You might be travelling to meet your folks in India, or you may have plans to soak in the sun in Maui or simply, your elder one plans to test for black belt on a particular weekend. That's why we thought of giving you a little heads up specifically about Dakshini's Annual Picnic and Shrabon Sandhya so that you can block your calendar to avert any conflict. Please be on the lookout for another communication with details of time and venue for both days. On a separate note, do you remember Hindi movies during 1990s? Bollywood music industry (as well as Tollywood to some extent) had a big void after sudden demise of the evergreen Kishore Kumar, but soon Kumar Sanu followed his suite and took the industry by storm. There are many feathers on his crown including ruling the industry almost for a decade, 5 consecutive Filmfare awards and a Guinness Book world record for recording 28 songs on a single day. You now have the opportunity to experience the magic that once shattered the records sales with mega hits like Aashiqui, Saajan, Deewana, Baazigar and 1942 a Love Story. 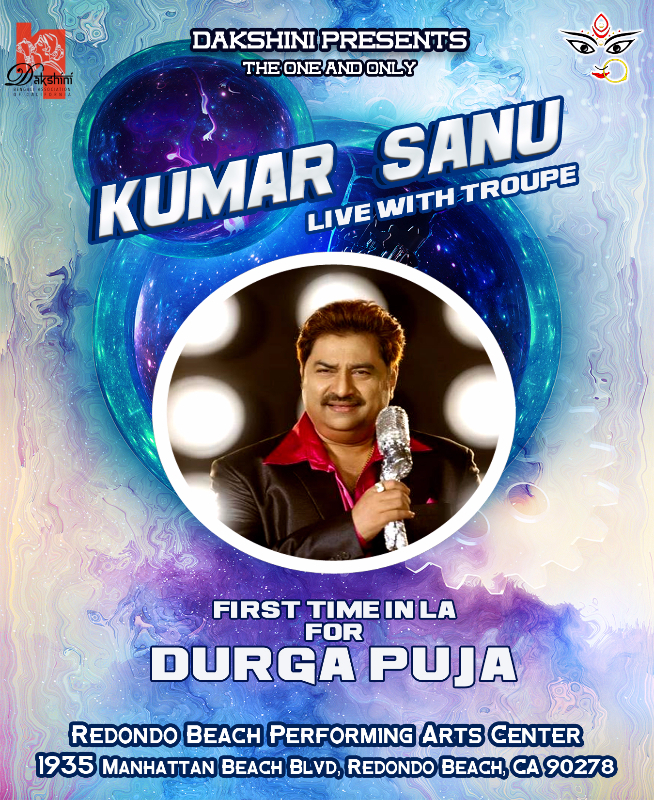 Dakshini is proud to present Kumar Sanu, on September 30th, Saturday evening at Redondo Beach Performing Arts Center. Stay tuned for more exciting updates from Dakshini Parivaar. 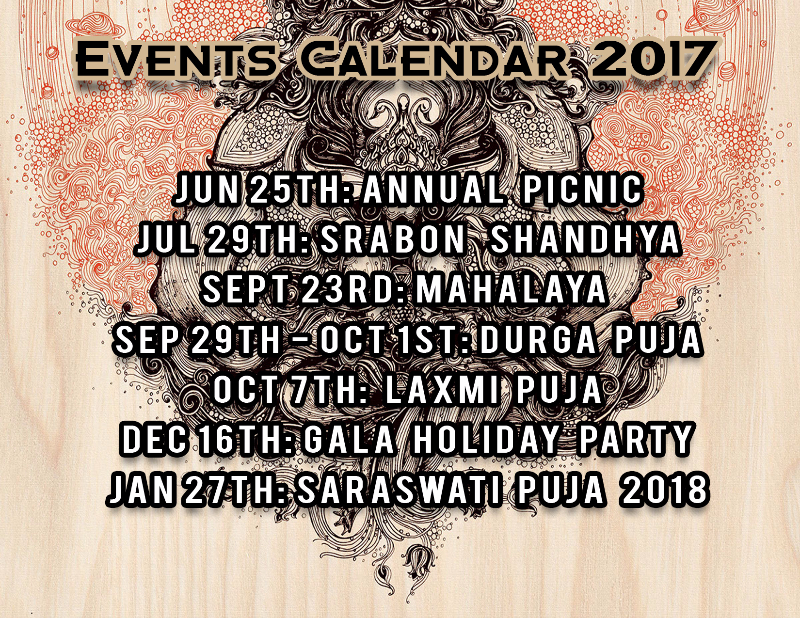 Note: Each year your annual membership is due by Dakshini's Annual Picnic and this is the best time for Dakshini to collect you membership and plan for future events accordingly. We cannot thank you enough for being a patron and part of Team Dakshini!